Hello, everyone! As we approach the end of another year, many cultures around the world begin their preparations for carrying out traditions that will ensure good luck, good health, and prosperity in the new year (at the very least, they can’t hurt). Food always—pretty much without exception—plays a part in these rituals. In Japan, for example, it is customary to eat soba noodles during the New Year’s celebration to ensure a long life, symbolized by the long noodles. In Spain, 12 grapes are eaten at midnight on New Year’s Eve—one for each month of the year—and it is hoped that the grapes are sweet, which is considered a harbinger of a sweet year ahead. In Austria and Germany, they eat little marzipan pigs, which are considered good luck. In the Philippines, they make a lot of noise on New Year’s Eve, banging pots and pans, to ward off evil spirits. In Greece, they smash a pomegranate at the front door to spill the seeds, symbolically spreading wealth. In many countries, legumes are popular for New Year’s because they swell when cooked, symbolizing increased financial prosperity. Lentils are used in Italy and Brazil because they are round like coins. In the United States, black-eyed peas are popular (the musical group and the legume) and Hoppin’ John, which features that particular legume, is a staple New Year’s dish in the South. Recipes for Hoppin’ John first began appearing in cookbooks in the 1840s, but the origins are a little murky, and possibly a little unfortunate. 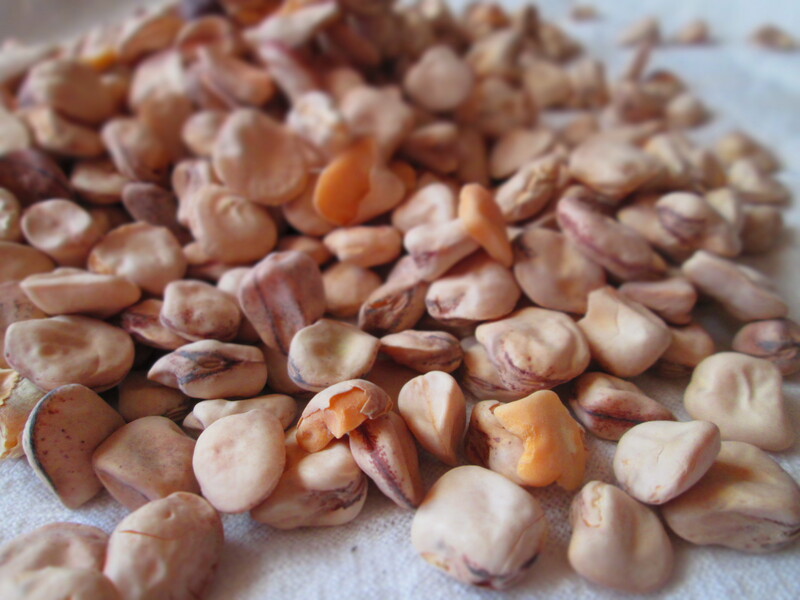 Black-eyed peas are native to West Africa, and it’s believed that they were brought over by slave traders as part of their cargo. Naturally, the crops were planted in the South, and became an important commodity. Some believe that eating black-eyed peas for New Year’s is actually a carryover of a 1500-year-old tradition of consuming them by Sephardic Jews on Rosh Hashanah, the Jewish New Year. The beans themselves represent coins, and there’s one version of this tradition that calls for hiding an actual coin in the Hoppin’ John—bringing the finder good luck—as well as filling a bowl with beans and coins and leaving it on the table for some benevolent spirit in exchange for granting good fortune. But why is it called Hoppin’ John? There are several stories. One says that there was an old man who hobbled around and sold peas on the streets of Charleston, and the dish was named after him. Another says that children would hop around the dinner table, eagerly anticipating the serving of this dish. A more likely story is that it comes from a French term, pois pigeons, meaning pigeon peas, which are a big part of Caribbean culture. Hoppin’ John is traditionally made with pork and served with rice. In many countries, pork, for some reason, is considered lucky to eat on New Year’s (marzipan is not the only kind of pig that Austrians and Germans eat for New Year’s). Rice flourished in the hot, steamy South (it was dubbed at one point Carolina Gold). Bring all three of these elements together, you’ve got one lucky dish. Also, Hoppin’ John is often served together with collard greens, because it represents money. Cornbread, too, is considered lucky because of its “golden” color (you get the idea). I’ve made different versions of Hoppin’ John, with and without greens, with and without meat, with rice and with other grains… This is probably the simplest version I’ve cooked. The nice thing about it is that you can make it ahead of time and freeze it, then defrost it in time for New Year’s Day. By the way, unlike other dried beans, black-eyed peas do not need to be pre-soaked. You can, if you want to cut down cooking time, do a quick-soak method by bringing the peas to a boil in a pot of water, letting them boil for 2 minutes, then letting them sit in the water for an hour off heat. But, frankly, if you’re going to do all of that, you’re not really saving any time, unless you want to do this the day before. In my opinion, not worth it. Just let the Hoppin’ John cook for an hour, and it’s a done deal. Whatever traditions you have for New Year’s—or whether you have any at all—I’m wishing you all a healthy, happy, prosperous New Year. I wish for peace and tranquility, honor and compassion, and above all, respect for all living beings. Heat the oil in a Dutch oven or large saucepan. Add the onion and ¼ teaspoon of the salt, and sauté over medium-high heat until soft and translucent. Add the garlic and sauté until fragrant, 1 to 2 minutes. Drop in the tomato paste and stir it in until it’s well blended, then let it cook for a minute or two, until the bottom of the pot starts to brown. Pour in a little bit of the broth to deglaze the pot and scrape up the brown bits with a wooden spoon. Let this cook until the liquid has evaporated. Add the bell pepper, carrot, celery, and ½ teaspoon of the salt and sauté until all the vegetables have softened but are still firm. Pour the liquid from the tomatoes into a measuring cup and add enough water to make 1 cup. Add this to the pot. Pour in the broth, and add the beans, bay leaves, remaining salt, and black pepper. Mix well. Bring this to a boil; lower the heat to medium-low and simmer, partially covered, about 1 hour, or until the beans are tender but not mushy. If the pot dries out before the beans are cooked, add more water or broth and stir it in. Stir in the parsley and other herbs and taste for seasoning. Add more salt and/or pepper, if you like. Remove the bay leaves and serve with rice or cornbread, or on its own. Categories: Beans, Comfort Food, Gluten-free, Healthy eating, History of Food, Holidays, Legumes, Recipes, Regional cooking, Savory Cooking, seasonal cooking, Traditions, Uncategorized, Vegan, Vegetables, Vegetarian, Wheat-free | Tags: bean, black-eyed peas, good luck, holidays, hoppin' john, New Year's, tradition | Permalink. At long last, I can finally announce the release of my latest cookbook, World Party: Vegetarian Appetizers, Hors d’oeuvres and Party Plates. This is both an excitement and a relief because this book has been on a long and arduous trip. I first got the idea for it, and began researching recipes and cuisines for it, in 2002. I spent many years testing and developing recipes to duplicate the dishes I’d read about and sampled, but in such a way that they would stay true to the originals as much as possible while making them meatless. I started with a list, and that list grew and grew. Over the years, I added recipes, deleted recipes, changed recipes, and in a few cases I was so determined to make a particular recipe work that I just kept testing and testing until I came up with the right result. Sometimes a recipe simply didn’t work and I tossed it. Occasionally I would discover that I’d confused one dish for another, and sometimes I had a recipe that I couldn’t find the proper name for in its originating culture. In those cases, I researched high and low on the internet and in books and magazines, asked friends and coworkers if they knew, asked friends to ask their friends and coworkers if they knew, posted questions in special interest groups on Facebook, etc. I found out the answers to some, and found out that I had others all wrong. As I met and talked to more and more people from different cultures, my list expanded but, oddly, also shrank. So many cultures have more common threads than we imagine, and as I started to examine my recipes, I began to realize that there were more similarities than differences. It was a fascinating and educational journey I went on. The one thing I’ve learned from this project, if nothing else, is that no matter what clothing people wear, what religion they practice, what rituals they perform, what kinds of jobs they hold, or how much money they have, we are more similar than we are different. You can see this in the very similar dishes that are shared between nations, with maybe just a spice or two, or a cooking method, differentiating them. Eating is the one thing that every single human being on earth must do to survive, so it’s no wonder that food is the common bond across the planet. No matter where you go in the world, a signal that you are welcome is the offer of food. When you are a guest at someone’s home, it always gives your hosts tremendous pleasure to feed to. It is the global sign of hospitality, and many customs and rituals were created around food. In some places, to refuse food is an insult, or to not finish it all is a sign of poor manners. Some cultures expect you to belch loudly when you’re done to show that you are satisfied. Food always brings brings people of the world together. It’s my hope that through food, we can find common ground and sit at the table together to share a meal. So take a trip around the world. If you can’t do it physically, do it in your kitchen and at your table. Try new recipes and explore new flavors, and invite your friends and loved ones to share in the journey. Most of all, enjoy it. Peace. Categories: Appetizers/Hor d'Oeuvres, Books, Ethnic Dishes, global, Healthy Alternatives, Regional cooking, Snacks, Uncategorized, Vegetarian, world party | Tags: appetizers, book, cookbook, ethnic, global, hors d'oeuvres, parties, party, Publishing, regional, world party | Permalink. Tuscan kale is a beautiful specimen of the kale family. The leaves are long and dainty looking, and look really pretty in a garden. But like standard kale, the leaves are hearty and the stems tough. Thick stems should be cut off and the leaves need to cook for a substantial amount of time (versus greens such s spinach or chard, which cook down in a few minutes). Categories: Beans, Ethnic Dishes, Healthy eating, Pasta, Recipes, Regional cooking, Savory Cooking, Soup, Traditions, Uncategorized, Vegan, Vegetables, Vegetarian | Tags: italian, kale, soup, Tuscan, vegan, vegetarian | Permalink. There’s one thing I love about Eataly, the Italian market in Chelsea in New York, and it’s not the prices. It’s the fact that you can get products that have been imported from Italy, things that you wouldn’t otherwise find, at least not easily. 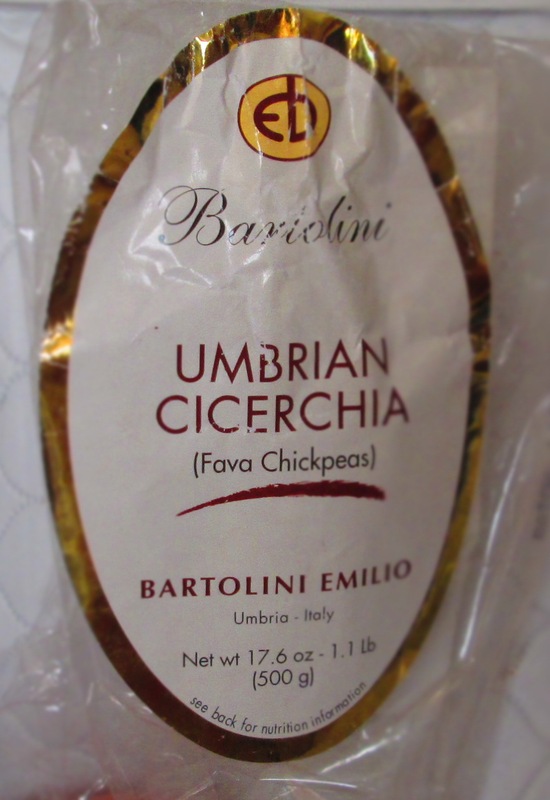 During one particular perusal of the market, I found cicerchia, an Umbrian hybrid of chickpeas and fava beans. Ceceri means chickpeas, so I imagine that cirechia is a playful word meaning “in the realm of chickpeas.” Italians love playing with their words almost as much as their food. I wasn’t sure what to do with them, though, as this was not a common product, at least not in the region where my family is from (Basalicata). 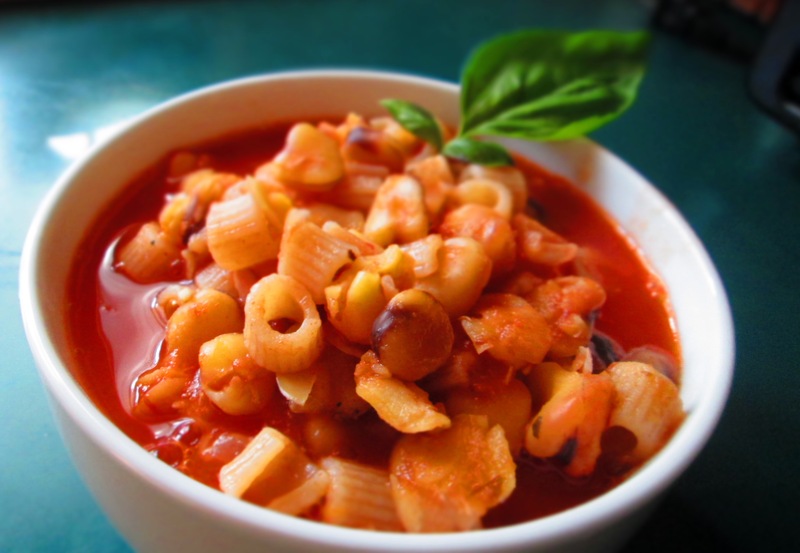 Ultimately, I decided to use them in a typical Umbrian dish: chickpea soup. If you’re able to get your hands on cicerchia, try this recipe—it’s light but filling and scrumptious. Categories: Ethnic Dishes, Experiments, Healthy eating, New-to-me Food, Pasta, Recipes, Regional cooking, Savory Cooking, Soup, Uncategorized, Vegan, Vegetarian | Tags: beans, cicerchia, Italy, soup, Umbria | Permalink. I just love finding new items to try. I was at the farmer’s market one day and saw something called papalo. I’d never heard of it and had no idea how to use it, but I bought a bundle and did some research. 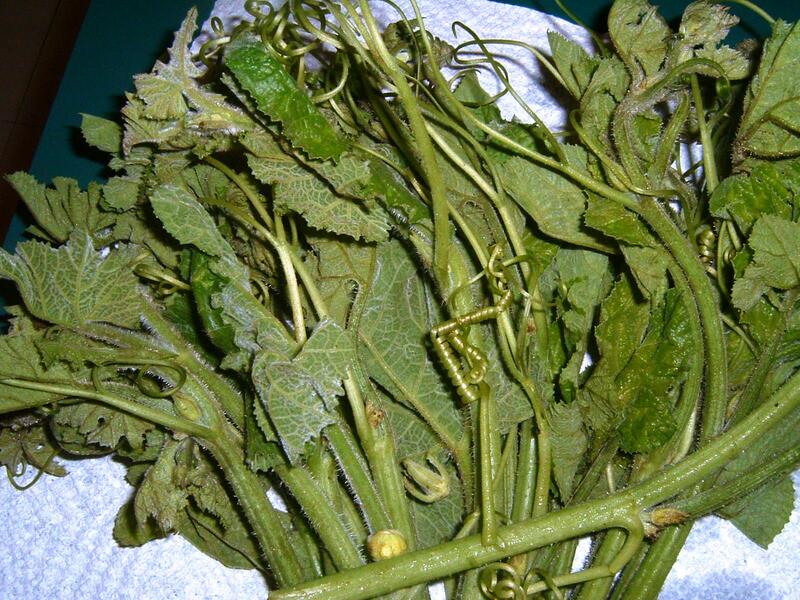 Turns out that papalo is an herb that grows wild in Mexico, Arizona, and Texas. Most popular in Mexican cooking (although it’s also used in South American cuisines), it’s been compared closely to cilantro. It looks nothing like cilantro but its flavor is mildly cilantro-like with citrus overtones. 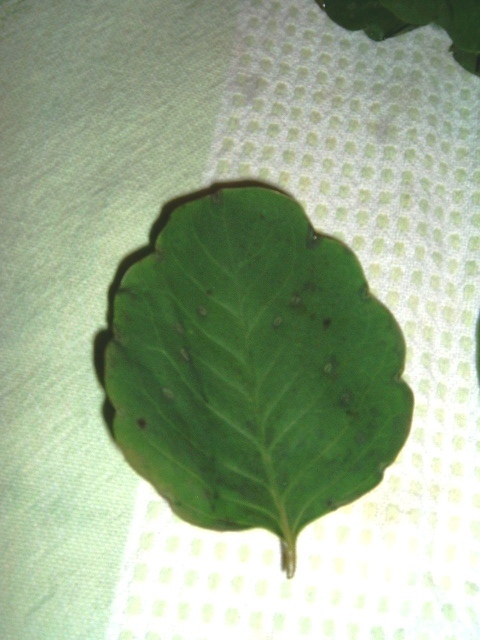 In fact, it is often used in dishes in place of cilantro. It tends to be used in raw applications more than cooked ones, and is especially popular in salsas and guacamole. The word papalo comes from the Native American Nahuatl word for butterfly, papalotl. (Interestingly, it’s similar to the French word for butterfly, papillon.) But I’ve come across numerous names for papalo, including Bolivian coriander (coriander being the word for cilantro in many countries), butterfly weed, pápaloquelite, tepegua, quillquiña, quirquiña, and killi. Despite the prevailing belief that papalo should not be cooked, I used it in a batch of vegetarian chili and, predictably, it gave it a citrusy note. The chili seemed somehow “fresher” and more summery. That’s obviously my own association with the flavor profile of the chili but the papalo definitely gave it a nice little zing. Here’s a recipe for a simple tomatillo salsa, using papalo. Let me know what you think. Finely chop the tomatillos and place in a bowl. Add remaining ingredients and mix well. Chill for at least ½ hour to allow the flavors to blend. Categories: Ethnic Dishes, Experiments, Herb, New-to-me Food, Recipes, Regional cooking, salsas, Uncategorized, Vegan, Vegetarian | Tags: cilantro, Mexican, papalo, salsa | Permalink. My friend, Linda, asked me recently for suggestions on what to do with the water she had used to cook kale. This water, known as pot liquor (sometimes spelled potlikker), has set many a cook’s heart aflutter because it’s loaded with flavor. Not only that, it’s also packed with nutrients from the kale, or whatever greens you have cooked in it. * If you have enough of it, you can reduce it and add a roux for a sauce, too. This would go very well with grilled/baked/sauteed tofu or tempeh. * Add it to your pet’s food—it’s nutritious for our furry friends, too! So, get yourself a nice big bunch of greens—any greens—and cook it down. The best way is to sauté greens in a pan with garlic and oil. But you can also use a small amount of water to boil them. That way, you get the nutrient-packed water without leeching everything out of the greens themselves. Place the greens in a large skillet or dutch oven and add about a cup of water and salt. 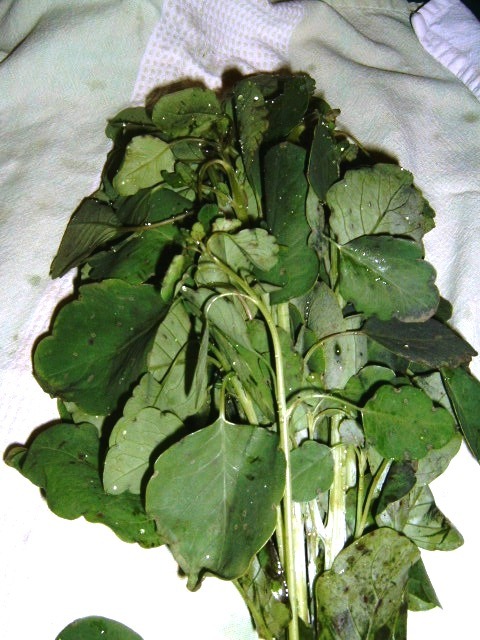 After the greens are cooked, remove them and save the liquid. To sauté in oil, follow the recipe below, then reserve the pot liquor. It will have incredible added flavor from the garlic and spices. 1. Coarsely chop the greens. 2. Heat the oil in a wide pan; add garlic and cook 1 minutes. Add paprika and red pepper lakes and immediately add the greens. 3. Add ½ cup water, salt, and pepper and mix well. Cover the pan and cook until greens are tender. The time will vary, depending on the type of green it is. Add more water if it starts to get dry. 4. Use tongs to remove the greens and garlic. Reserve the pot liquor for use in other recipes. Categories: Healthy eating, Recipes, Regional cooking, Uncategorized, Vegan, Vegetables, Vegetarian | Tags: greens, pot liquore, potlikker, Southern, vegan, vegetables, vegetarian | Permalink.